A 11 year old or boy or girl in the fifth grade joins Cub Scouting as a Arrow of Light (AOL). Arrow Of Light is a family-oriented program! A group of six to eight boys or girls meet together in a group called a den. Dens meet approximately twice per month. Arrow Of Light Scouts have fun participating in den meetings and outings while making memories together. In addition to den meetings, Arrow Of Light Scouts attend our monthly pack meetings and other exciting pack activities. Members of the whole family are welcome to participate in meetings and events! Arrow Of Light Scouts have a close connection with local Scout troops and attend their events and camping trips. This helps to prepare them for when they join the troop as a Scout. Like all other new Cub Scouts, a Arrow Of Light Scout must first earn their Bobcat rank. After completing the requirements for Bobcat he or she may go on to complete the requirements for the Arrow Of Light rank and the many electives that are offered for the rank. 3. With a parent or adult partner, complete the exercises in the pamphlet How to Protect You Children From Child Abuse: A Parent’s Guide, and earn the Cyber Chip award for their age. Arrow Of Light Scouts may choose to wear either the blue Arrow Of Light uniform based on the Cub Scout uniform or the tan/olive uniform similar to the one that older Scouts wear. They should wear it to all den meetings, pack meetings, and special pack activities. For the tan/olive uniform, boys and girls wear the official Scout olive trousers or shorts and official Scout tan long- or short-sleeved shirt with blue shoulder loops. Official blue socks (with gold tops) are worn with the blue uniform, and official olive socks (with red tops) are worn with the tan/olive uniform. With either uniform, all Arrow Of Light Scouts should wear the Webelo neckerchief (plaid with the Webelo emblem), Webelo neckerchief slide (handmade slides are also acceptable), Webelo cap, and Webelo belt buckle. 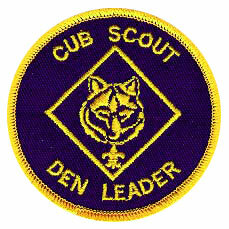 Cub Scouts are provided with a Pack t-shirt as part of their membership. The Pack 142 t-shirt is to be worn during certain activities and outings. Shared leadership is a key element of the Arrow Of Light Scout program because direct adult involvement is important for boys and girls at this age. Through this sharing of leadership, each Cub Scout and adult partner team is given an opportunity to lead. Shared leadership also brings a wealth of knowledge and variety to the program as each host team has something different to bring to the program. To find out more information about our Arrow Of Light program or Pack 142, please email info@pack142.net.